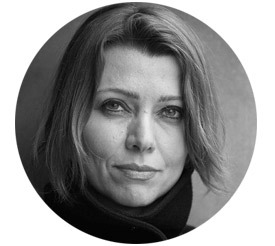 Elif Shafak is an award-winning novelist, memoirist, and essayist and the most widely read female writer in Turkey. Critics have named her “one of the most distinctive voices in contemporary Turkish and world literature.” Her books have been published in more than 40 countries and she was awarded the honorary distinction of Chevalier of the Order of Arts and Letters. She writes in both Turkish and English and blends Western and Eastern traditions of storytelling. In her latest novel, The Architect’s Apprentice (released March 2015), Shafak spins an epic tale spanning nearly a century in the life of the Ottoman Empire. Besides writing fiction, Shafak is an active political commentator, columnist and public speaker. She is a regular contributor to major newspapers around the world and has taught at various universities in Turkey, the UK and the US. An active social media figure with nearly 1.7 million Twitter followers, Shafak lives with her husband and two children and divides her time between Istanbul and London.